The world of kitchen design is highly susceptible to changing tendencies and style trends; modern day kitchens run the gamut from country farm house styles to old-world traditional to contemporary modernism to Mediterranean cottage charm. However, one element that manages to remain consistent throughout is the stone benchtop. Going with a stone countertop for the kitchen affords homeowners a variety of benefits and virtually zero downsides. Nevertheless, the market is crowded with options and, as such, choosing what type of stone to use can be difficult; which is why today we will briefly discuss the most important qualities to look for in a brand new kitchen countertop, and why Silestone is most definitely a solid contender. Kitchens are rife with substances that can permanently stain the benchtops. Drinks like red wine or coffee can do a number on stone, so the first quality you want your new stone benchtop to have is stain resistance. 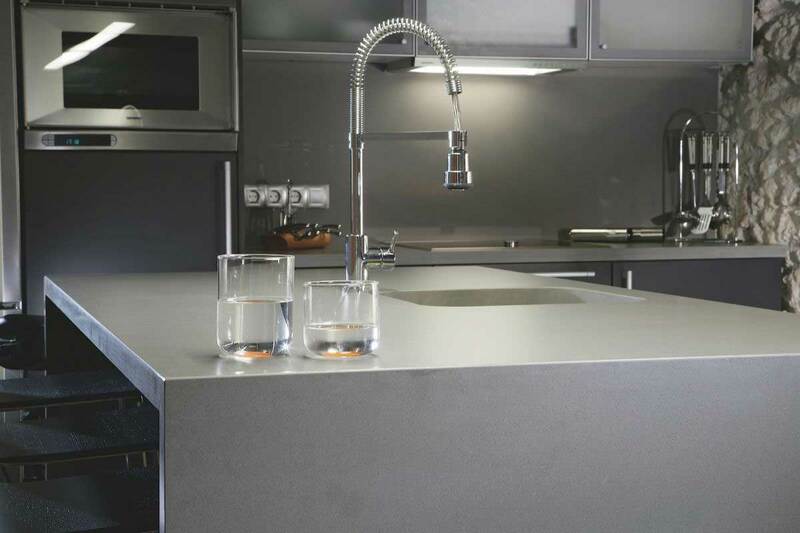 Silestone benchtops have nonporous surfaces which means whatever you spill will have a tough time penetrating it. Unless you go with a stain resistant benchtop, you will never be able to relax in your own kitchen. You want to make sure that whatever material you choose, it is durable. There are plenty of brittle stones out there and they will chip or crack the first time you drop a massive meat tenderiser mallet on them. Silestone is an excellent option because it is made with hard quartz. Remember that installing a kitchen benchtop should be a one-time investment. Most of us spend an inordinate amount of time in the kitchen. In fact, if you are anything like me, you probably spend more time in your kitchen than any other room in the house. Look for a countertop material that is easy to clean. With Silestone quartz countertops you get a surface that can be wiped clean in the blink of an eye, so you can spend more time cooking and less time fuzzing about the clean up.